Well I never eat late at night, but tonight I am so hungry. My metabolism must be going a million miles an hours, I have burning the calories like you wouldnt believe lately and I guess not refuelling right. 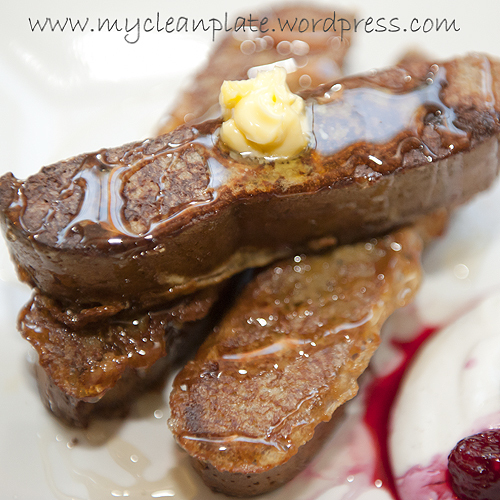 What to make that was nice and clean and to help fix a sweet tooth the healthy way. I really like macaroon slice and was thinking of making a clean version at some stage but thought why not create a clean macaroon inspired mug cake…..so I was on it stat!! The result……holy moly….heaven!!! I want to make another 10!!! The yummy topping was awesome I love when I get inspired to make something and it works out lol!! You can omit the protein powder too if you like and add a teaspoon of honey or rice malt syrup but you might not need it with the banana. It’s heaven in a mug I tell ya!!! In a bowl add the banana, egg and vanilla and mix well. Then add your coconut, flaxmeal, almond meal and cinnamon and a few frozen berries and mix well. Grease a mug with coconut oil and pour the mug cake mixture into the mug and put in the microwave for about 1 minute 20. (1000 watt). Allow to cool. In a glass bowl add the rest of your frozen berries and using a stick blender mix until relatively smooth. Add yoghurt and you and mix to combine, you can do this with a spoon. Pour berry topping over your mug cake and top with the remainder of the toasted coconut mixed with some of the flaked almonds that you crush using your fingers and keep some flaked almonds whole to top for extra garnish . Eat immediately and totally enjoy every bite!!! 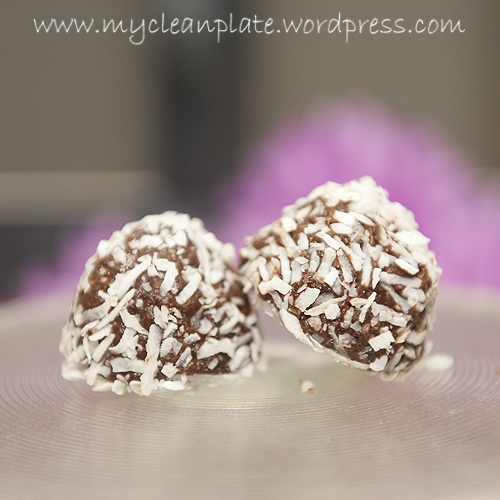 I am always making some kind of chocolate flavoured protein balls or truffles….well today I thought I’d be different, a totally different flavour! Why not have a nice tangy refreshing flavour in ball!! Introducing a Lemon inspired truffle and its goooooooood!!! 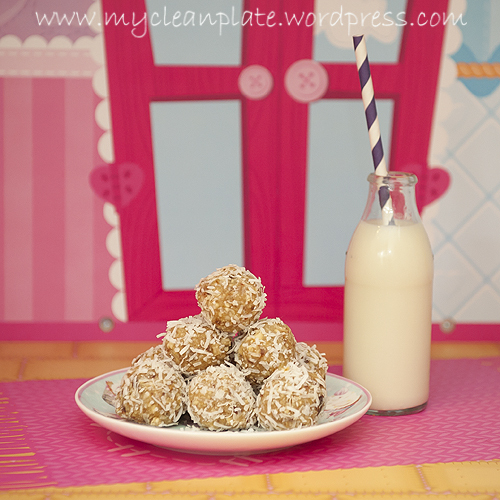 A nice healthy treat for the kids too. My almost 12 year old loves lemon flavoured sweets so these she loved!! In a processor add the nuts, dates and coconut and process until it recembles even smallish crumbs (a little bigger than bread crumbs). Add Lemon zest and 2 tablespoons of juice and pulse to combine. This should make the dough rollable and not too wet but enough to have coconut coat the balls. Taste the mixture, if you want more lemon or need the mixture more wet add another tablespoon of lemon juice. 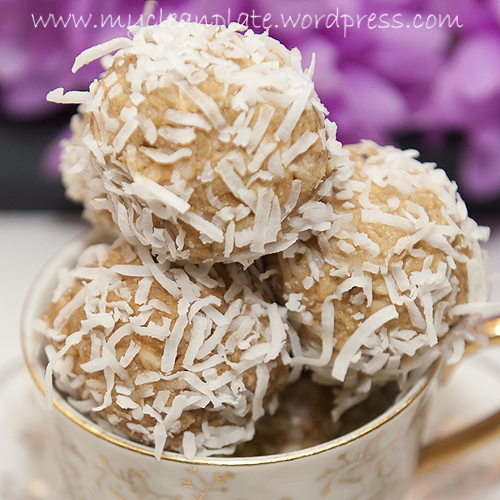 Roll into 12 balls (well it should make 12 if you dont keep eating the mixture lol…oops) Coat in coconut and let harden a little in the fridge or freezer. Store in freezer and the balls will last a couple of month in an air tight container. I really hope you all enjoy these ones as much as we all did. 2 Tbsp Freenut butter (Sunflower seed butter) OR Peanut Butter depending on if you want it nut free or not. * Add 1 Tbspn of vanilla or cookies and cream protein powder, you may need an extra tsp of chobani or seed or nut butter. 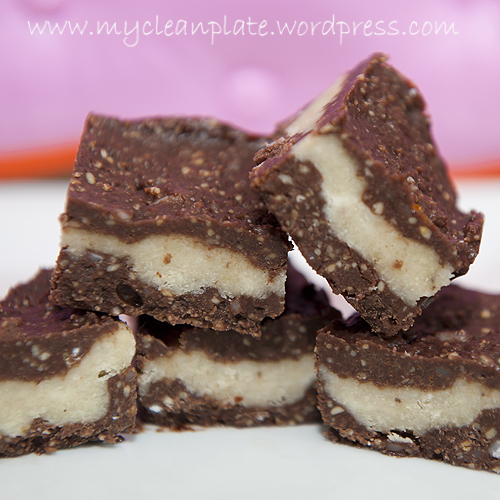 * option is to add roughly chopped dark chocolate about 1 Tbsp to the mix. Here’s another fun mug cake recipe for you all. 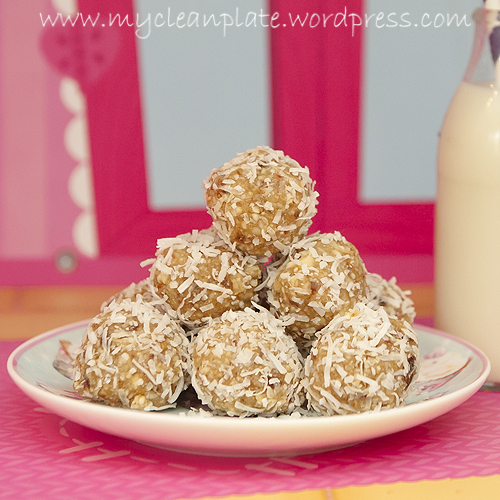 These, like protein pancakes and protein balls are so fun and easy to create. 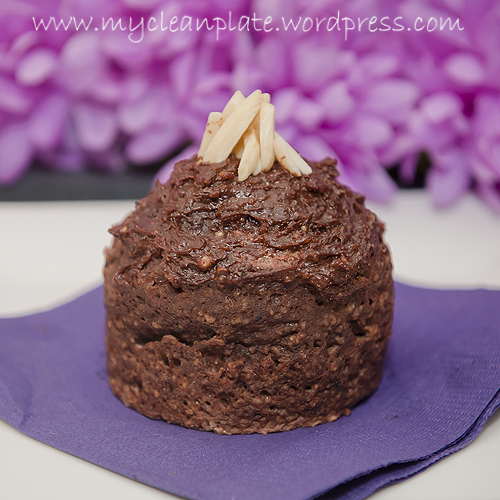 This one is yummy and moist and even better with my yummy clean eating frosting!! Give it a try, this was my afternoon tea that I took with me on the school pick up run and ate this in the car! I called this a mud mug cake (bit of a mouthful hey?!) as it has 3 forms of chocolate flavouring. Mix all ingredients together and transfer to a greased mug (grease with coconut oil). Cook in microwave for about 1 minute 20 seconds (1000 watt microwave). If you dont want protein powder I would just replace this with extra flaxmeal or almond meal. Mix ingredients together and spread over the top of your cake (or eat from the bowl…..its so yummy!!) This should be the consistency of a thick peanut butter. Well you make one recipe and you discover a spin off recipe from it. And this one is goooooood! I had a thought, since the ‘caramel’ of the caramel tart was so amazing I thought mixed with cocoa or cacao this would be out of this world. So I whipped up another batch of the caramel (Date paste). 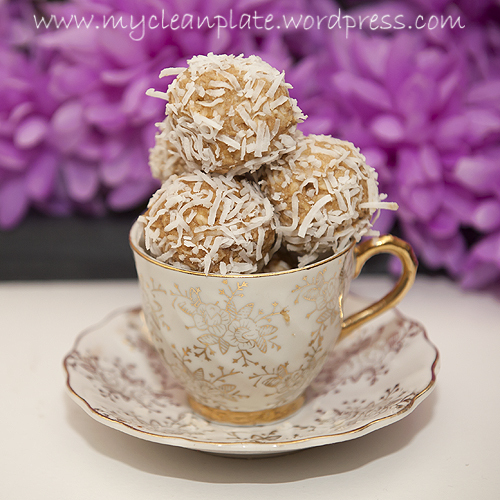 added cocoa and rolled into the snowball shapes (flat on the bottom and rounded tops, you know the ones that are marshmallow covered in chocolate and coconut) then coated them in coconut. OMG!!!! 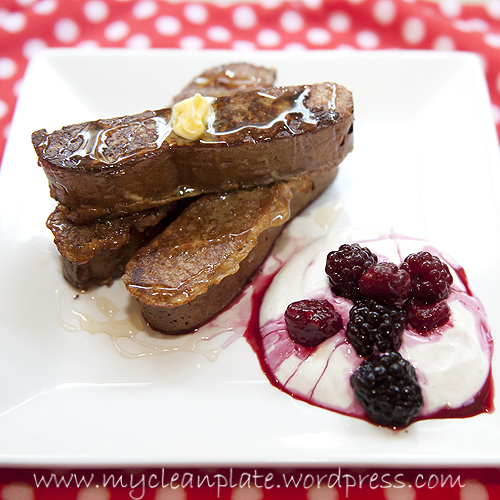 I also tried this with protein powder and just as yummy!! Optional 2 Tbsp chocolate protein powder. Blend all ingredients, shape into balls (about a tablespoon of mixture) or the snow ball shape (flat bottom and rounded tops). Then put in freezer to firm up. Store in airtight container in fridge or freezer (I prefer freezer so they last longer). If too sloppy add some shredded coconut to the mix or a little almond meal. 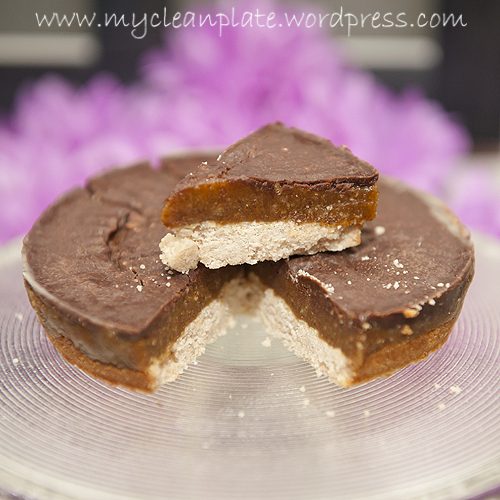 One of my most favourite sweet treats is caramel slice/tarts, yummy biscuit base with sweet smooth caramel and a chocolate topping. After being inspired by a couple of images on Instagram lately I decided that I’d experiment myself and play around and see how I would go doing one the my clean plate way. I found that I had my biscuit base too thick so have adjusted the recipe now accordingly to omit a tiny bit of the coconut flour to help make it a little thinner! This is so sweet and its amazing how eating clean/vegan/paleo you can make your caramel flavour using dates and basically making a paste!!! I just made this for the kids and I for dessert and WOW!! So sweet, you only need a little piece but the kids were absolutely impressed. I didnt tell them it was one of my healthy recipes, I just said we have caramel slice for dessert. I cut this into 8 pieces as its quite sweet a little goes along way. And ofcourse I have to make it into a cute little tart!! But you can use this in a small square dish for a slice. I used a mini spring form pan. 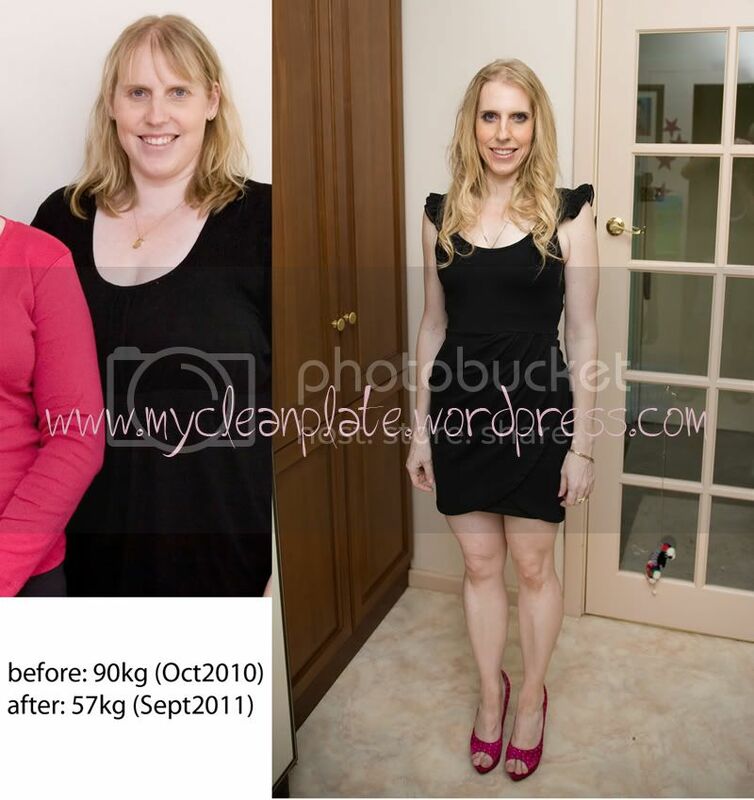 You know the most amazing part…..IT’S GUILT FREE!! Full of fibre, protein, healthy fats….isnt that enough to put a smile on your face!! Your taste buds will be thanking you too!! Mix together (add a tiny bit of water if needed to make a dough, can be a little crumbly but still quite wet to stick together) and press into mini spring form pan or small square oven proof dish thats lined with baking paper. Bake in a preheated oven for 10 minutes on 160 degrees C fan forced. Let cool slightly. Tip: wet fingers or back of a spoon to press into dish. Put all caramel ingredients in a blender and blend until smooth, this should be a thick paste like you could spread it on toast. Dates are pretty sweet so you probably wont need the honey in this at all, have a taste test and see what you think but be careful as you might not want to stop at one little taste test!! If too runny add a little almond meal or if too thick add a little more coconut oil. 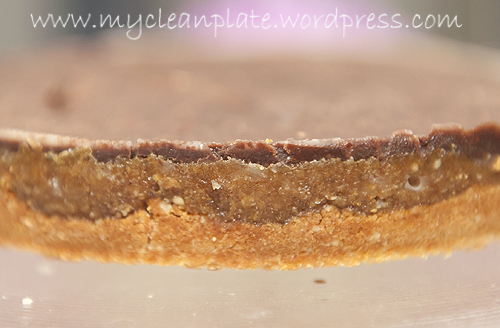 Grease the edges of the pan with coconut oil so the caramel layer comes away nicely. Once you have the right consistancy and its nice and smooth press over tart coconut base. Wet the back of the spoon this will stop it from sticking and let you smooth the layer out perfectly. Now you can either just use some dark chocolate over the top, which is quicker option or make your own chocolate topping, it will be Paleo then too. Blend in a small bowl making sure your coconut oil isnt lumpy and all blended well. Pour and spread evenly over the top and place in the freezer for an hour or so. If you can wait that long! Was up last night playing around with making mugcakes, I always make a chocolate one but this time was wanting something a little different. I have cookies and cream whey protein powder here so thought that would make a nice flavour topped with some sort of creamy topping. 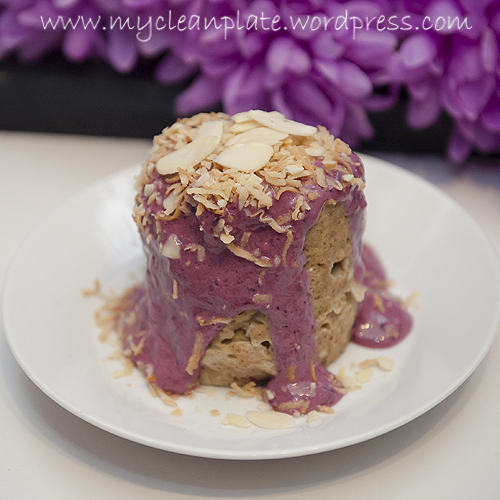 This mugcake can be ofcourse made in any flavour, what ever flavour protein powder you have. If you dont want to use protein powder then just replace it with almond meal or another option is omit the protein powder and half the almond milk might work too but I would justdouble the vanilla and cinnamon for flavour and definately add the sweetener. 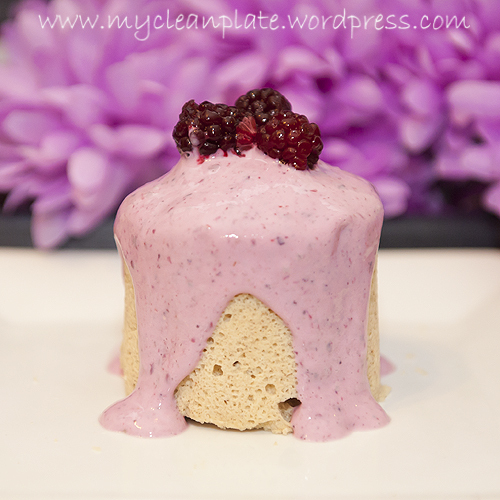 The topping is simple, no fat Chobani plain greek yoghurt, berry flavour protein powder and frozen berries. It really helped moisten the cake too. For those lactose intolerant use a lactose free yoghurt or soy based yoghurt if you not allergic to soy. Mix all ingredients and pour into a greased (using coconut oil) mug and microwave for about 1 minute (I have an 1000 w microwave). Push on the top of the cake and if it springs back its done! Using a stick blender process til blended and pour some over the top of your mug cake, you might not want to add all of it its up to you. I made extra so I have some as a snack later in the day. It was a huge baking weekend the weekend just gone, the girls really enjoy helping me create new recipes, while we have some failures together we also have some great yummy success. 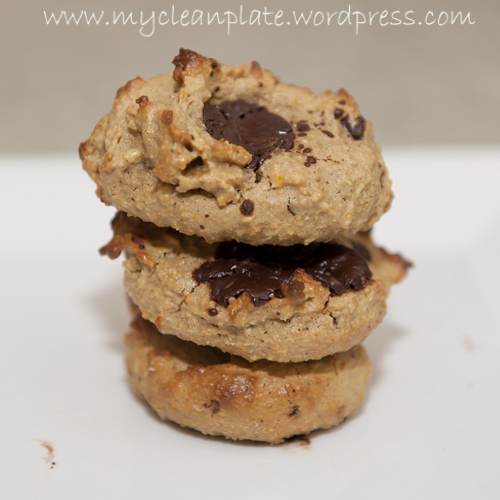 These cookies arent the prettiest but they did taste really yummy and I think worth a mention on the blog. Now these can be lunch box friendly if you use Sunflower seed butter instead of the nut butter and maybe try a gluten free flour in place of the almond meal!! We love sunflower seed butter here (its yummy on cruskits with banana too). So theres the creation from Tayla, Carlie and Sabrinah with a little help from me! While it looks like alot in the recipe its so easy, its just the spices that make it look like its alot! Optional: if not for kids add in 1/2 scoop vanilla protein powder. Mix all ingredients together in a bowl and and spoon tablespoons full onto a baking tray lined with grease proof paper. Mixture will be a little sloppy so dont worry, they will be nice and chewy and when frozen they wont go rock hard, actually really nice eaten straight from the freezer!!! Bake at 180 degrees C for about 12 minutes I think it was. Until golden. 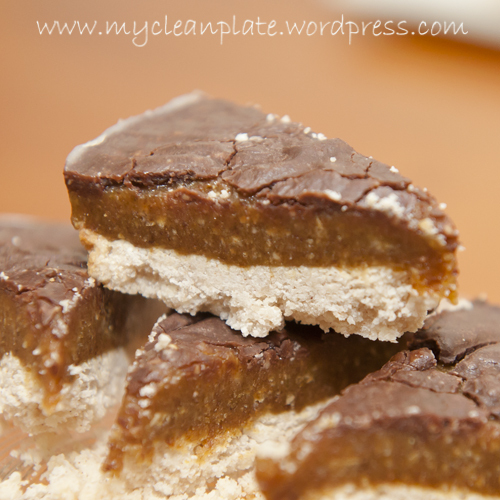 Well if you all loved the snickers bar slice then this will quickly become your newest favourite guilt free clean eating treat. I love cookie dough and do have a bit of a sweet tooth (but prefer to get my sweetness from natural ingredients not the yukky refined sugars). 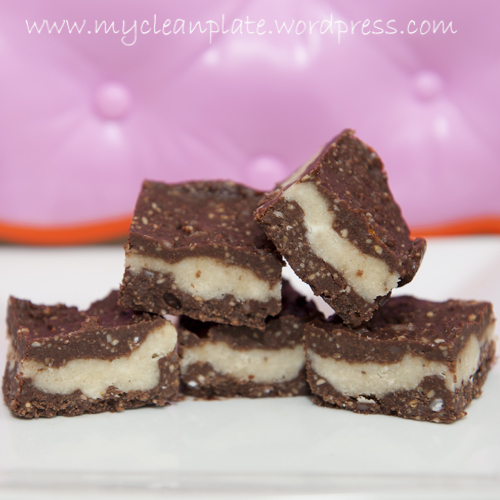 I love the clean eating chocolate recipe thats on my blog so thought I could adapt that somehow. I have seen cookie dough balls before and thought I’d adapt this idea and mingle the two together and voila the most rich and decadent slice to match the yumminess of the snickers bar slice. This slice has 3 layers of absolutely awesomeness!!! I will refer to 2 options, one with protein powder and another without. Enjoy!! Mix all ingredients in a bowl making sure the coconut oil is all squished and not lumpy, you can blend it all in a food processor if you wanted to do it quicker. optional is roughly chopped dark chocolate. Combine all the above ingredients. Press over the first layer of chocolate. Then carefully press the remaining chocolate mixture. Place in freezer for about an hour and cut into 16 pieces. Or could do 12 larger ones. Now to try to stop at just one!!! Its not easy!! Store in the fridge or freezer, if placing ontop of one another place grease proof paper between them. I am hiding mine in the back of the freezer from myself. 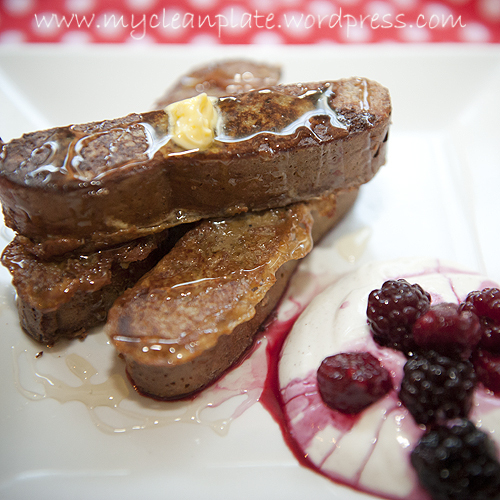 These could be dangerous….lucky its all clean and healthy fats!!! This recipe I discovered on paleomg.com and with a few alterations I started prepping for this late last night ready to have for my breakfast. At 10pm I was roasting my pumpkin seeds and pumkin and it was about 11pm I was all done and my bread was cooling. This isnt paleo with the protein powder, thats totally optional. For those that want Paleo just omit it, I am not 100% paleo but wanted to up the protein a little more as its before a weight training work out. I thoroughly enjoyed this especially having the chobani greek yoghurt on the side. All I did was added cinnamon, vanilla and topped it with berrries and their juices, eating the bread with the rice malt syrup and the yoghurt together was a massive party for your taste buds. Its my recommended way of eating this one!! The effort to make this is totally worth it!! And for those that are Paleo you must check out her amazing paleo recipes!! Blend your pumpkin seeds in a food processor until very fine, kind of like flour or a ‘meal’ consistency. Add your dates and blend. Now add the dry ingredients and pulse to combine. Now add your wet ingredients and blend until smooth. (Mix wont be dough like so dont worry that its sloppy). Pour into a loaf tin lined with grease proof paper and bake on 170 degrees celcius (approx 375 F) fan forced (180 not fan forced) for about 30 minutes. Allow to cool. And cut into 2cm strips. Whisk all together in a bowl. Put your pumpkin bread slices (2-3 per serve) in the egg mix for a minute and turn over for another minute. They wont soak up much of the mixture. In a fry pan melt some coconut oil over medium heat and add your bread, cook one side til golden and flip over for another couple of minutes until golden the other side. Serve with rice malt syrup, honey or maple syrup or a little Chobani plain 0% fat greek yoghurt infused with vanilla and cinnamon topped with berries!!! Absolultely amazing breakfast and very filling!!! Why Sugar (Fructose) Makes Us Fat!